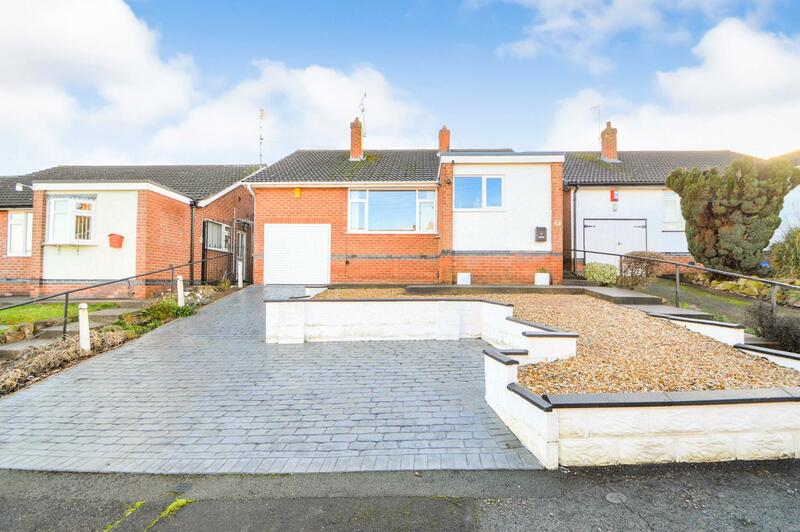 Benjamins are pleased to bring to the market this three bedroom detached bungalow situated in a quiet cul-de-sac location on Lowlands Drive, Keyworth yet within easy walking distance of local bus services to Nottingham city centre & West Bridgford. The property has the benefit of having undergone many upgrades by the current vendors to include gas central heating system, combination boiler, double glazing, kitchen and bathroom & stone paved driveway. It also has a pleasant south east facing private rear garden. To arrange to view please call Benjamins Sales on 0115 9371713. Gated access to double glazed side entrance door which enters into the kitchen. 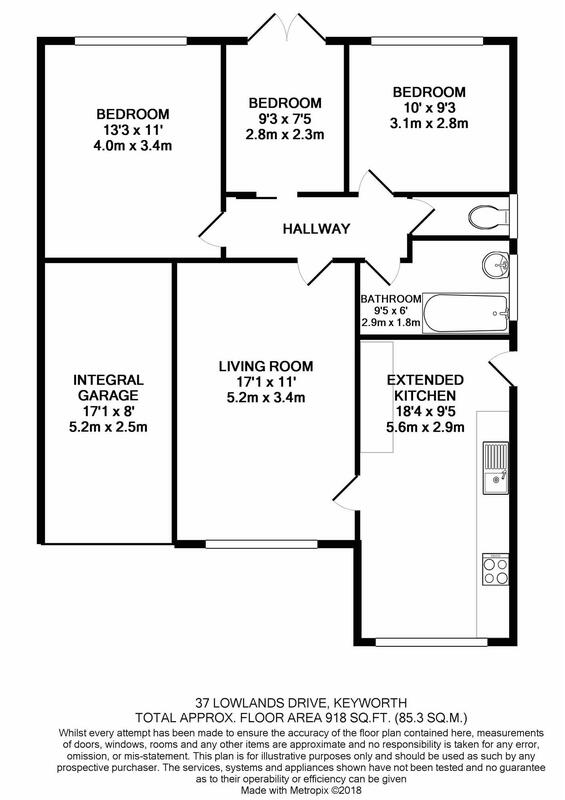 Fitted with a range of wall, drawer and base units with work surfaces over, black composite sink, plumbing for washing machine, space for dishwasher, space for fridge freezer, combi boiler in utility cupboard, radiator, ceiling spotlights, double glazed window to side aspect & glazed window to front aspect. Door into living room. UPVC double glazed widow to the front aspect, ceiling light fitting, radiator, carpet, door to inner hallway. Doors to three bedrooms and bathroom. Access to loft. UPVC double glazed window to the rear aspect, fitted wardrobes to one wall with matching drawers, carpet, radiator. UPVC double glazed window to the rear aspect, carpet, radiator. Double glazed patio doors onto the rear garden, radiator. Bathroom suite with separate shower cubicle. Bath with mixer tap, wash hand basin with vanity storage cupboard below, wall cabinet. Shower cubicle with waterfall shower head, extractor fan with light. Double glazed window to side aspect, splash back boards to walls & towel radiator. With low flush wc and wash hand basin, glazed window to side aspect. To the front of the property there is off road parking with grey stone driveway, a low maintenance terraced front garden area with path to the side leading to the side entrance doorway. There is gated access leading through to the rear of the property where there is a slabbed patio, fenced borders, lawned garden with steps leading up to the garden shed. The rear garden is south easterly facing which enjoys a sunny aspect. With electric up and over door.